What better way to see many of the sights of London than on a cruise down the Thames. 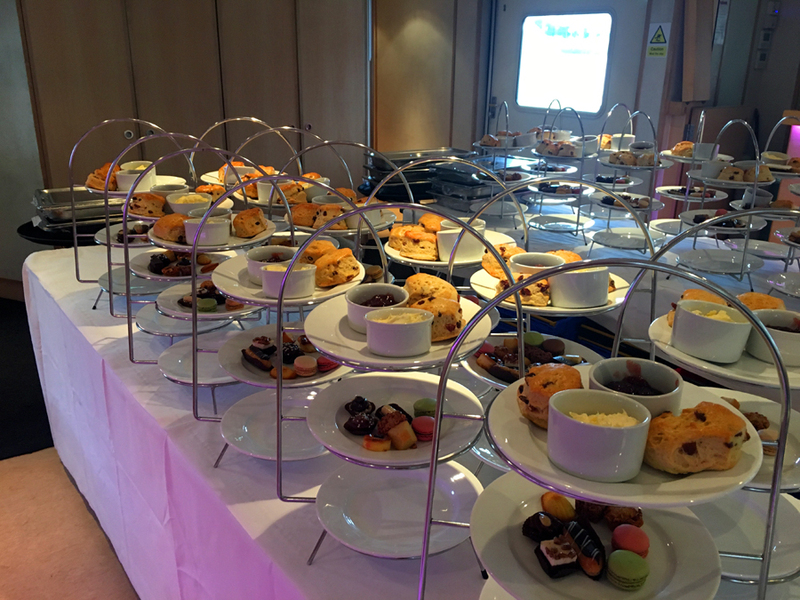 But if you want to make it even more special, why not try City Cruises’ daily Afternoon Tea Cruise? This 90-minute cruise takes in sights such as Tower Bridge, Millennium Bridge, The London Eye and Big Ben. 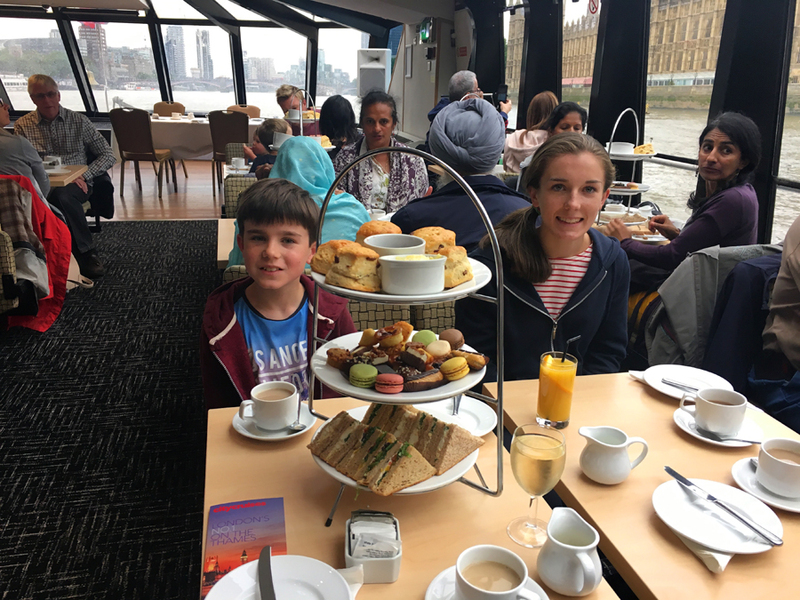 Our Summer 2017 adventures included a trip to London so we were excited to be invited to sample one of the company’s afternoon tea cruises. 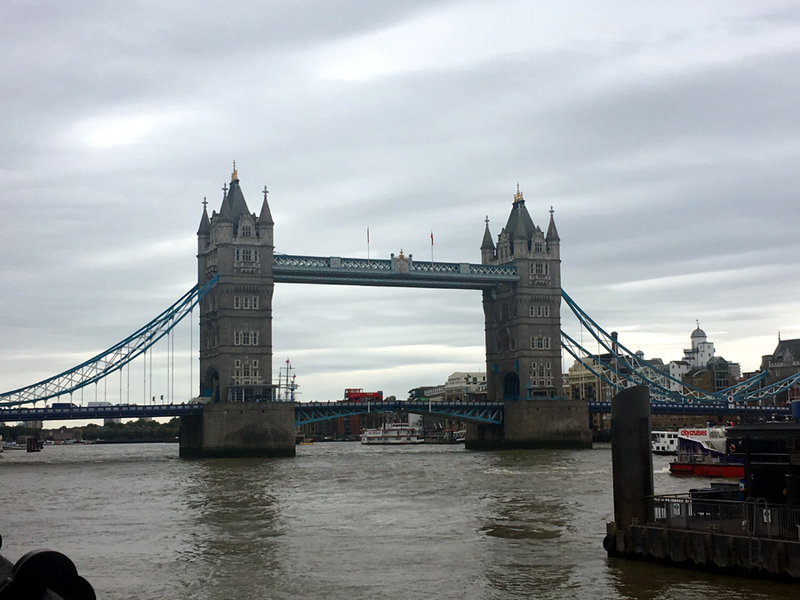 We boarded the vessel at Tower Pier (postcode EC3N 4DT) and were greeted by very courteous, smiling staff – and they remained so throughout the trip. The majority of seats, unless there’s just the two of you, are situated in the centre of the boat, but that doesn’t mean having less of a view than the window seats. In fact, the views all around were first-rate and, if the weather is kind, you can pop out on to the top deck for an even better view of the sights. It wasn’t long into the trip before the eagerly-anticipated afternoon teas were served, comprising a selection of sandwiches, cakes and scones. Unfortunately, our request for veggie and vegan food hadn’t reached the correct person so our selection was more limited – even so, what was available was very tasty. Our advice to anyone booking is to ensure any dietary requests have been received in plenty of time because there isn’t a kitchen on board – mistakes can’t be corrected once you set sail. Unlimited tea and coffee is also available and the attentive staff ensured our cups were never left empty. If you prefer an alcoholic drink these can be purchased from the bar. The 90-minute cruise whizzed by – in fact, we’d have enjoyed even more time cruising along the Thames. 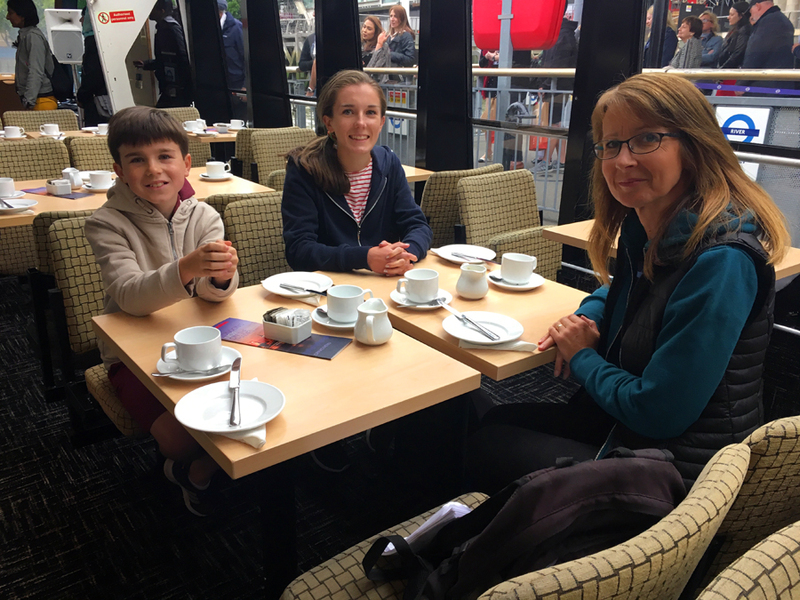 However, there was sufficient time to enjoy our afternoon tea without rushing and, despite unfavourable weather on the day, the journey was calm so perfectly acceptable for even non-water lovers. 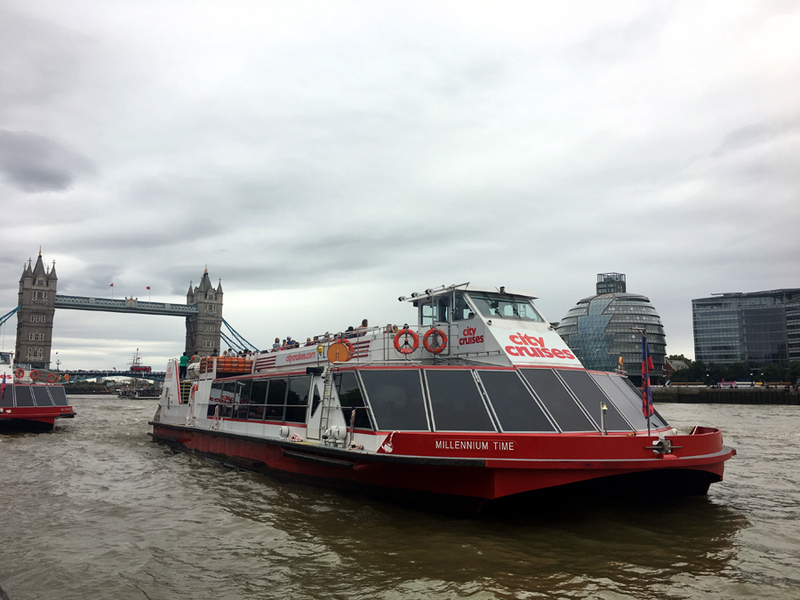 But if an afternoon tea isn’t for you, City Cruises offer several ordinary sightseeing trips throughout the day, which can be purchased as a single journey or a 24hr hop-on-and-off river pass.